Make It Count is committed to providing access to safe, medically appropriate, and affordable housing renovations to those who need it most. From returning veterans to hard-working families, many people today struggle to find the housing options suitable to their needs. In order to increase our effectiveness, there are times when Make It Count will partner or collaborate with other organizations that help in identifying and validating the need in the community. In today’s economy, it is becoming harder for families to afford the high price of housing renovations while continuing to meet their basic needs. Everyone deserves a home that is a safe and secure place they can feel proud of. We realize the importance of family time in the kitchen, sitting at dinner table is where values are learned. 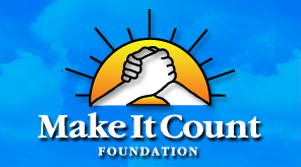 Make It Count develops housing renovation projects that will allow hard-working families to better provide for their families and devote their time and energy to prospering in the world. Find out about OPERATION RENOVATION and the work we have been doing in the NEWS.